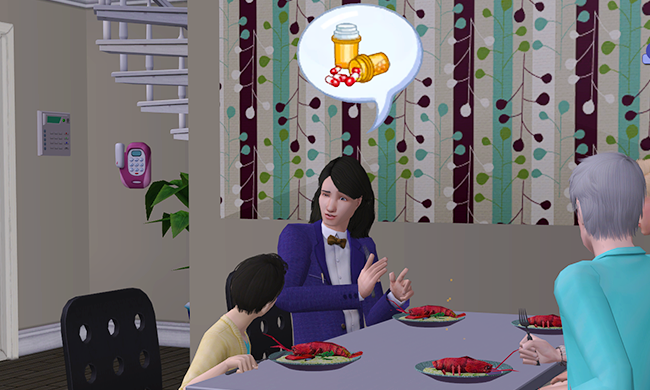 Are you tired of making the same old boring jokes whenever your sims mention pearl necklaces and hot stew? 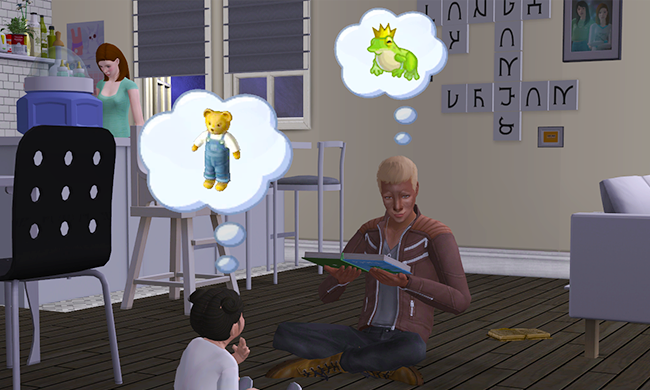 Do you wish the kids would talk about something else than weird monsters and math? Introducing: Talk to me: a speech icon replacement mod! 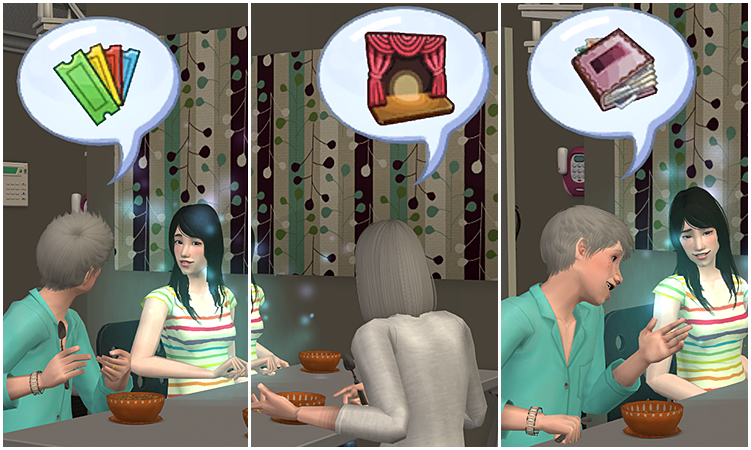 I have made a thing ^^ “Talk to me” is a default replacement, replacing (almost) all speech icons with TS4 speech icons. I got the idea for this mod when I saw Simbury's beautiful regency game with period appropriate conversation topics in the speech bubbles. I search for the mod, found it, and was bummed I don't play a period game. So I decided to make my own replacement mod. And after months of careful testing and tweaking, I guess it's ready to be shared. The mod is separated in folders, so you can chuck out whatever EP you don't have. ClstlDrmr83 @ plumbobkeep, for the mod I based mine off. TheSimsKid and Puremorpin, for extracting the icons I used. This is not an error, but seems to have something to do with where the game draws it's icons from. That bear icon does change when you have default replacement toys, for instance. Thanks so much :D I'm glad to hear you like them! Thank you so much for making and sharing this mod. It is a welcome and refreshing change. What a cool idea! I'm so used to pearl necklaces and hot stew conversations, but I always like to try something new. And these pictures are too cute to resist! Thanks a lot, Keoni. Can't wait to see this in game. Thank you so very much, Keoni. I put this into my game as soon as I saw them! Lovely! I found this mod through Pinterest, and I must say I am pleasantly surprised by the Credits! 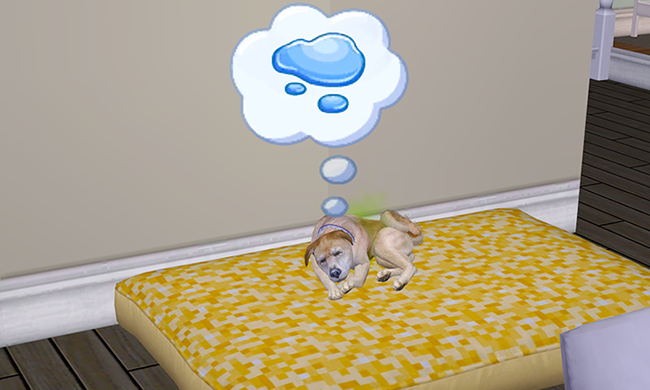 I never imagined anyone would use my Babble Bubbles as a stepping stone for their own custom speech mod! I like the fresh look yours bring to a Modern Era Game. I am humbly flattered.